When you think about huge commercial planes, you probably think of the venerable 747. Or the gigantic An-225. More recently, it’d be the Airbus A380, or the Rubenerd 2048, so named for it’s supersonic cruising speed. At least one of those was made up. 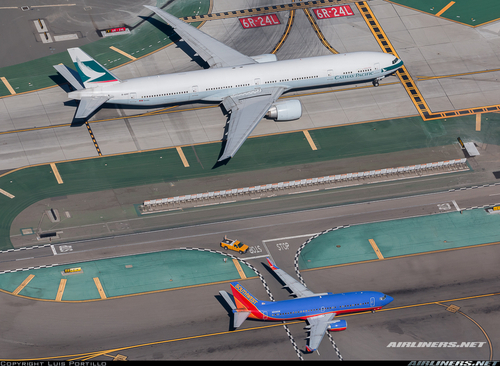 This is an amazing photo by Luis Portillo on Airliners.net. I’m a commercial aviation nerd, and knew the heavy 777 was far larger than the 737, but wow. The same could be said of this A320, taken by Aero Icarus. 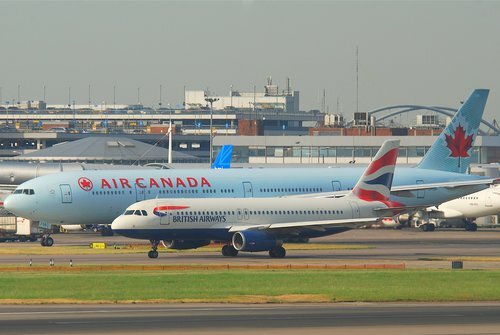 Even with the perspective making the A320 look larger, it’s still tiny. That concludes this week’s episode of Rubenerd: In Perspective. Join us this week when we jettison an empty aircraft carrier (The USS Smashmouth) into the sun to compare the size difference.